Frankie is a one and a half year old boy who lives with his Mum and Brother just off Central Road. 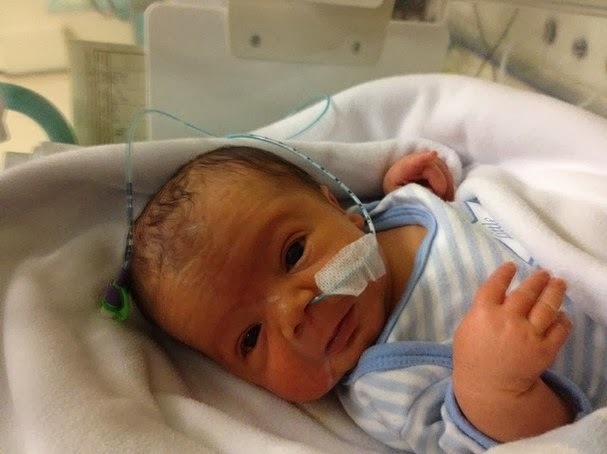 When he was born in January 2012, they soon realised something wasn’t right as he was turning blue and struggling to breath. 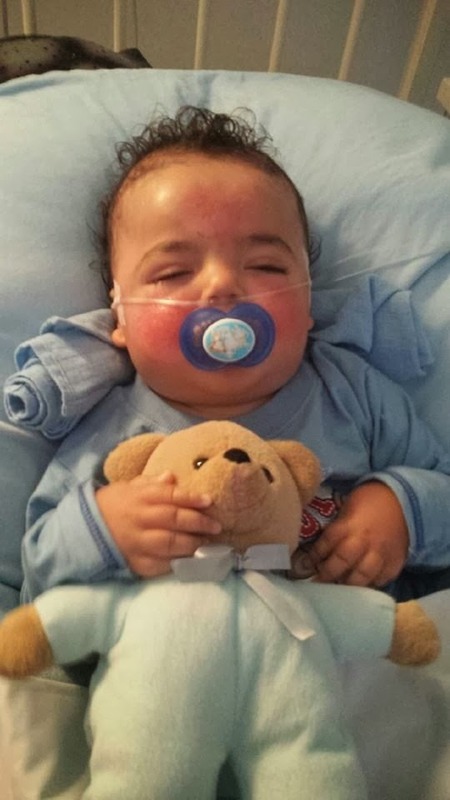 Tests revealed that Frankie was born with Congenital Brain Malformation meaning that part of his brain had stopped developing at around 6 months and that no one really knew what the future would hold. 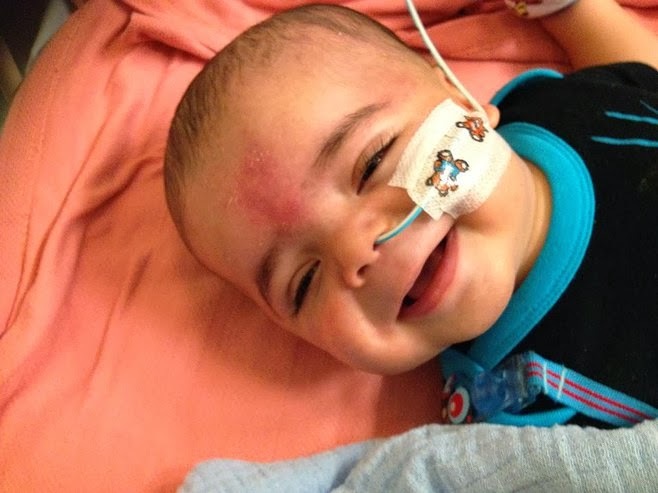 In October 2012 the consultants diagnosed Frankie with Quadriplegic Cerebral Palsy which affects all four of his limbs. He has complex Epilepsy and weight and growth issues, severe developmental delay, and is partially deaf in both ears and may also be blind. He will not be able to attend a mainstream school and may never be able to walk; everyday is a struggle for Frankie and his family. Because of the complex disabilities Frankie needs 24 hour care and lots of specialist care, treatment and equipment which the NHS does not supply. Frankie’ parents need to raise £20,000 to help with the specialist equipment and even just making changes to everyday things to accommodate Frankie’s special needs. To start with, while Frankie is in a wheel chair his Mum, Natasha (who has given up work to be Frankie's full time carer) doesn't qualify for a wheel chair accessible car until Frankie is three. But because she has a back problem (Lower Lumber sciatica) she often can’t walk let alone lift Frankie and get his wheelchair and all his equipment into the car. So to start with they need to raise £4,000 to go towards a wheel chair accessible car so she can wheel him straight into it. Frankie's parents have set up a website, facebook page and a just giving page to help raise money. Several fundraising activities have also been organised including an auction coming up on the 21st of December. If you can donate anything to the auction please contact Natasha through the website here or you can email her on frankiesfund@hotmail.co.uk. Natasha, her friend Laura and Frankie’s brother will also be in Central Road tonight (Christmas Late Night) trying to raise funds, speaking to businesses to try to get some more donations for the auction and to let people know about Frankie. Some businesses have already taken a collection box for Frankie’s fund along with some flyers: So far Connor Prince Estate agent, More Than Lofts and The North End Tavern (who have also kindly donated a prize for my fundraising evening on the 21st December) have done this. So please consider helping Frankie and his family as you consider what Christmas is all about. If you see Natasha, Laura or Frankie’s brother tonight in Central Road, try to help if you can and again if you can donate any of those useful but not really needed items for the auction on the 21st, let Natasha know. It will be greatly appreciated.